High Pressure Laminate Panels are composed of melamine-impregnated decorative surface papers superimposed over a varying number of Kraft phenolic core sheets to achieve a desired thickness. 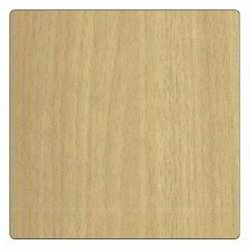 Decorative surface papers may be used on both sides of the panel, or one side may be sanded for bonding to a suitable frame. 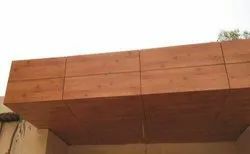 In industry our company has gained brand name as leading trader, supplier, and exporter of wider range of exterior panels. Our exterior panels are famous in all over the country for their superior performing ability and high grade construction. We are offering a wide range of HPL Panels. Note: Price will vary as per buyer requirements. We have uniquely situated ourselves as a trustworthy firm, engaged in offering HPL Gate Panel. They are also acknowledged for their high tensile strength and greater longevity. This gate panel is designed with by using finest quality material and latest techniques as per the market norms. Also, this gate panel is preferred for their classy designs and precise dimension. Our affluent industrial knowledge helps us in offering an extensive range of HPL Panel. Our products can also be changed as per requirements of our customers. We present an exclusive range of exterior panel to our clients and customers and our exterior panels are designed under the guidance and support of our experts.